Stephanie Brown has written an excellent book on personal recovery, from which I have used some key sections in my blogs. She emphasises a number of paradoxes in recovery which are described here. There’s some powerful stuff below, which I had never really thought about until I read Stephanie’s work. 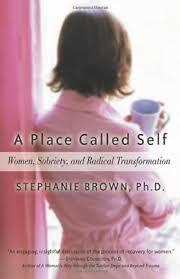 ‘Bill White: Speaking of impact, you wrote a book called A Place Called Self: Women, Sobriety and Radical Transformation that has deeply touched many people. Could you share some of what you infused into that book? Stephanie Brown: At the time I wrote A Place Called Self, I was deepening my understanding of paradox. Hazelden asked me to explore some of these paradoxes from the perspective of recovering women, although much of what I eventually wrote also applies to men.